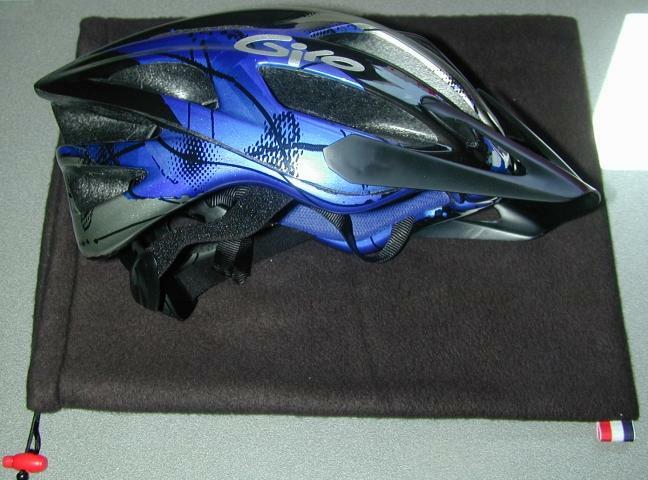 As this is my first MTB helmet, I have nothing with which to compare the Exodus except the "el cheapo" lids carried in most bike shops.... and it's simply no comparison at all. This Giro fits like they took a mould of my head to make it! 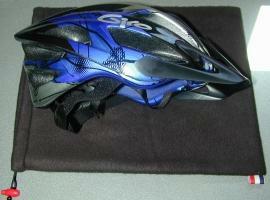 The pic shows my L/XL, black/blue lid resting on the fleece bag I bought to store it. Very nice bag, too. I'm very, very happy with it so far... Check the reviews out over at mtbREVIEW. ...upgraded from: no helmet. Shimano SH-M320 Shoes are expensive, but seem to be well worth the dough. I was a bit hesitant to mail-order shoes, as I had no idea what metric size to get. Most places can give you an English to metric conversion for sizing though, and sure enough, mine fit perfect. Check the reviews on these shoes out over at mtbREVIEW. ...upgraded from: no shoes.